Whether you’re using water from a well or a public water supply, in many cases the water contains “hardness” minerals such as calcium and magnesium. Over time, these can cause scale buildup in water heaters and pipes, also causing spotting on dishes, drinking glasses and silverware. No-salt hardness filters provide a great way to neutralize and remove most of these hardness minerals at the entry point of your home or business. Through this unique filtration system, the dissolved calcium and magnesium ions are turned into microscopic crystals that are unable to attach to surfaces, transforming the hard water into crystal-clear, great-tasting drinking water that won’t cause buildup on your pipes or dishes. A no-salt hardness filter is different from a water softener because beneficial minerals are not removed from the water during the filtering process, leaving only great-tasting, healthy water that is perfect for brewing coffee or tea, rinsing fruits and vegetables, filling aquariums, bathing, or drinking right out of the tap. The environment—your water filter can save hundreds of pounds worth of plastic waste per year! Improve your family’s quality of life with a no-salt hardness filter that yields high-quality, great-tasting drinking water right from the tap! 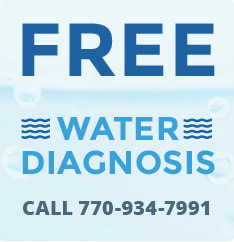 Talk to one of our Metro Water Filter representatives today at (770) 934-7991.